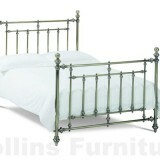 We stock a huge range of bedsteads in a wide variety of wood and metal finishes. 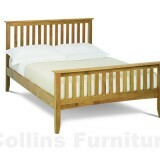 We carefully select the bedsteads we offer to ensure that they are well constructed. They all feature sprung beech slats for maximum comfort; all sizes, above single, will feature centre rails and internal support legs for additional strength.